The late 70s and early 80s were arguably the golden age of computer nerdiness. This was an age of innovation and invention: the first mouse-driven interface, the first GUI, and even the first touchscreen are all products of that era. In those early days, you programmed your own drivers, wrote your own applications, and hacked together your own games using assembler. And, no, computer hardware was not only for big companies and elites: Sinclair, Commodore, Atari, and dozens of other manufacturers of low-cost microcomputers took care of that. Then PCs with Windows and Macintoshes came along. You didn’t need to hack your own machine anymore. Corporations provided you with business software, utilities and entertainment. Guess what happened? As computers became commonplace, the knowledge computer science students were bringing to higher education plummeted. While first year CS students in the 80s and early 90s typically started out already with a working knowledge of programming, candidates in the 2000s could barely parse basic HTML. How unsurprising is that? I have on my desk a copy of the book my son uses on his IGSE (state exams British students take when they are 14/15 years old) ICT course. Unit one covers “Types and components of computer systems”. You know: monitors, mice, CPUs and that kind of stuff. The excitement continues in chapter two, which starts off with a rollercoaster of a page dedicated entirely to listing the advantages and disadvantages of “The Keyboard”. This is the equivalent of starting a first year course of anatomy at medical school with “Point at your leg”. It doesn’t get better. You slog your way through 269 pages of the most tedious material ever laid out on a paper and your reward is the final chapter, a whole unit dedicated to… Powerpoint. The only code the students ever see is some very, very basic HTML (which explains the discovery the Raspberry Pi researchers made above). The nearest to electronics they get? A photo of a disassembled ATM keypad. You could pass an exam based on this material with flying colours without ever having to even be near a computer. A similar situation happens in the US, Germany and Spain that I know of first hand. But, wherever you are reading this from, you will probably have also had that sinking feeling that formal IT education for primary and secondary students in your country is in the toilet. It would be comical how out of touch educators are if we weren’t talking about the future of our children. The guys who manufacture the Kano, a Raspberry Pi-based DIY computer, have already warned authorities that teachers would not be ready for a new ICT curriculum pushed forward by the UK Government. No kidding. The new curriculum wants to move students away from the focus on mostly office applications and the weird fetish the current curriculum authors have with banking hardware, onto a much more creative path, a path in which students learn by doing and acquire basic programming skills and engineering principles. That is wonderful and all, but the Kano people are right. This is a huge shift and it will take years to complete. Meanwhile, how can we help kids get up to speed? I have an idea: Go with the Maker (note the capital “M”) community. 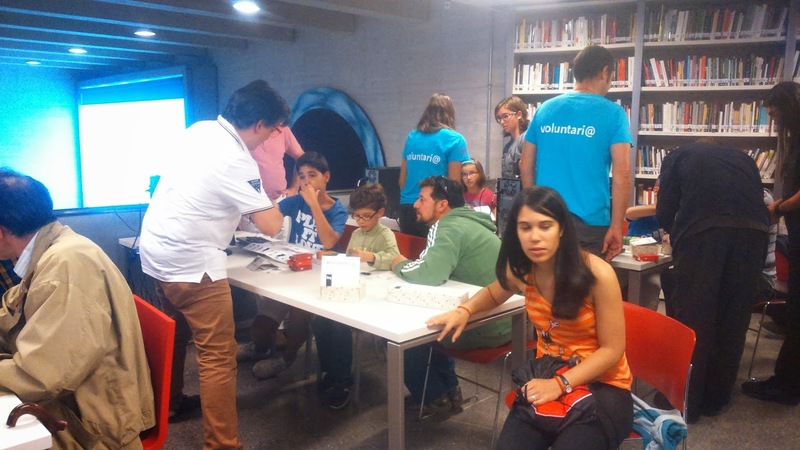 The most educational experience with regards to technology you can give a youngster today happens at a community-organised events and workshops, more precisely Maker community events and workshops. 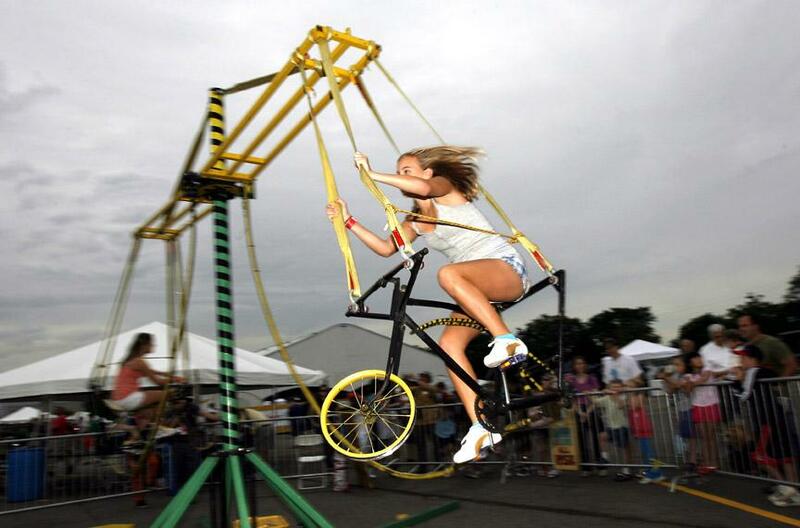 Taking your children to Maker events is a guaranteed blast. It’s like a day out at Disneyland, except that the kids get to build the rides. 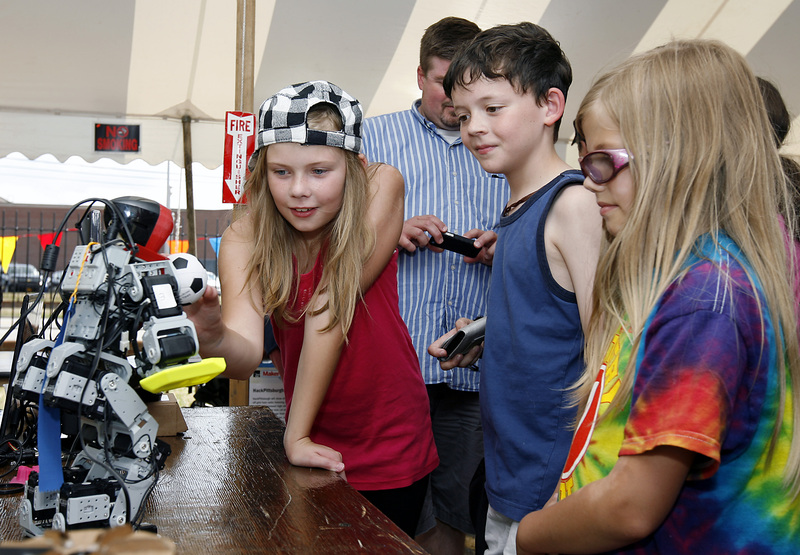 It’s not like your offspring will be alone: Visit any Maker Faire worldwide and the place will be teeming with children. They are building robots, flying drones and launching rockets, as modern kids should. Arduinos, Raspberry Pis, 3D printed pieces of plastic and scavenged gears and stepper motors have become the building blocks for the next generation. Technology has to be hacked, machines and software have to be mixed and matched in ways not initially intended to come up with new ideas and move forward. The fact that there are no rules (except for maybe the one about keeping the soldering iron away from your eyes) resonates with youngsters and they invent, build and, yes, learn. Let’s face it: Come tomorrow, given kids who have to wade through the currently stuffy and dry ICT curriculums, and then those who hang out with Makers and learn how to program, tinker and solder, when they both enter the job market, who do you think is more likely to lead the next technological revolution? Do you have a project that helps children improve their IT skills, be it in the realms of software or hardware? 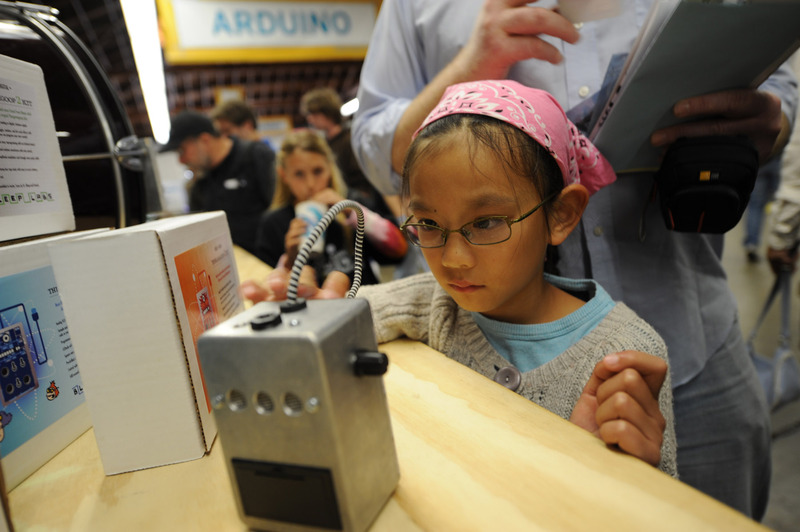 Do you organise a child-friendly Maker event? Do you teach kids open software and hardware technologies? Tell us about your experience! Pling can help you get your project the coverage it deserves and the funding it needs thanks to our micro-donations site.